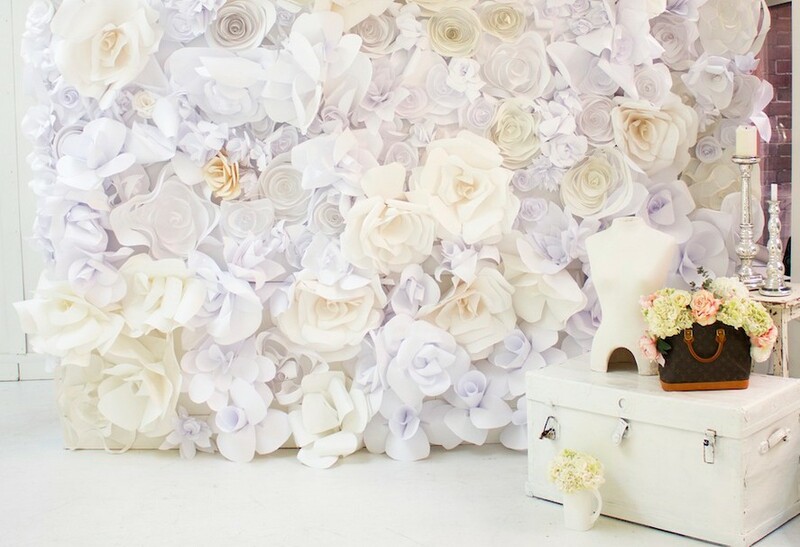 Create a backdrop by filling a wall with flowers made from paper! Follow the tutorial on the source to create this idea. See a tutorial for this idea using tissue paper. See this idea with multiple flower-covered walls in a row for photo variety.